We Clean Carpets in Sturgeon Falls & West Nipissing. Are you a resident of Sturgeon Falls? Great, we love serving Sturgeon Falls and all of their fantastic residents. Carpet Cleaning Sturgeon Falls wants to help you with your dirty carpets. We are your best carpet cleaners in the Sturgeon Falls and West Nipissing area. Did you know Sturgeon Falls has some of the best pogo's n fries in Ontario? 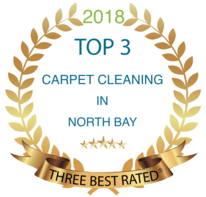 And now we want to bring the best carpet cleaning to Sturgeon Falls and West Nipissing areas. At Carpet Cleaning Sturgeon Falls our trained technicians will be able to work their magic to get those nasty pet odors out of your carpet using our professional equipment. Most stains or odors can be removed safely when you have a certified professional carpet cleaner doing the work. Pet stains can be some of the nastiest smelliest odors that your carpet will see. Make sure to call the professionals at Carpet Cleaning Sturgeon Falls. We know how to clean carpets and if we can't get out the stain or pet odor most likely nobody else will either. Is your upholstery need some TLC. We can help. We can bring your furniture back to life. From couches, chairs, lazyboys our carpet cleaning technicians are very handy when it comes to cleaning your furniture. You will be amazed at how the upholstery will look once we have cleaned it. It's very surprising how much dirt gets mashed into your upholstery during it's usage. Call our team and we get it cleaned. Commercial Carpets? Carpet Cleaning Sturgeon Falls does commercial buildings and we do it really well. No job is too big or small for us. Our commercial clients love us as we do them. Whether it's a large apartment complex or hotel/motel or even a convention centre we will work with you to give you the best possible pricing along with a quality job. Sturgeon Falls residents . . . don't fear your dirty carpets anymore. Carpet Cleaning Sturgeon Falls is here for you. When you need professional steam cleaning for the best results you want us to handle this for you. Sit back, grab a coffee and let our trained carpet cleaning technicians get the job done. We have years of experience and lots of repeat customers. Call us at 705-482-0370 for your free estimate. Remember at Carpet Cleaning Sturgeon Falls we got your back. 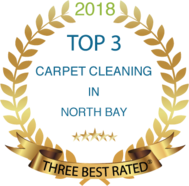 Our trained carpet cleaning technicians have years of experience doing carpets and with our wealth of knowledge in carpet cleaning means you get the job done right . . the first time. the most competitive pricing but above all some of the best carpet cleaning you will see. Remember West Nipissing and Sturgeon Falls residents. Don't let those dirty carpets get you down. Call Carpet Cleaning Sturgeon Falls now and see how we get the dirt out of dirty. We are the premiere carpet cleaning company in the West Nipissing Area. Book us and we will impress you.